Ride-sharing company Uber and accommodation provider Airbnb aren’t the only ways everyday Australians can profit from the booming sharing economy. Wholesale investment property trusts allow investors to have exposure to multiple, premium properties and maximise their returns, says commercial property agent Rob Stanley-Turner. Australian investment in wholesale investment property trusts is at an all-time high, pushing our funds management industry to become the sixth largest in the world, according to Australia’s Managed Fund Update 2017 released by the Australian Trade and Investment Commission* earlier this year. The report revealed that Australia’s A$2.8 trillion investment management industry is the largest in the Asian region, with a compound annual growth rate (CAGR) of ten per cent since 1991. 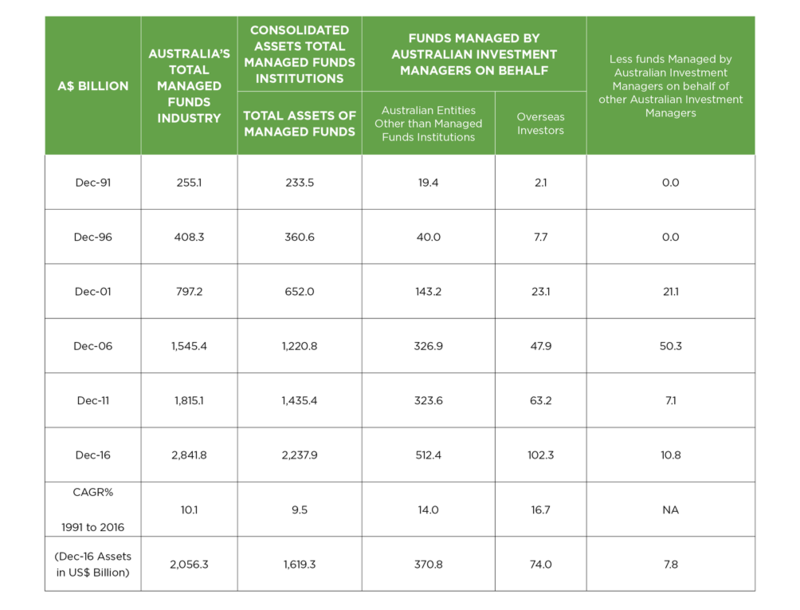 Unlisted property funds are part of the fastest growing segment* of the managed fund industry and grew from $19.4 billion December 1991 to $512.4 billion in December 2016 with a compound annual growth rate of 14%. According to the report, a sophisticated investor base, mandatory superannuation, strong and mature financial markets and products were driving the trend. But director of Box Commercial Real Estate, Rob Stanley-Turner, said there was another, more human element to the growth. “Wholesale investment property trusts turn that assumption around,” Mr Stanley-Turner says. In a wholesale investment property trust, the financing and tenancy of a property asset is managed by a funds manager – investors buy units and receive quarterly income. This also allows investors to have exposure to multiple properties and spread their investment risk. Taking control of their retirement income is fast becoming a priority for all Australians. The Australian Government’s 2015 Intergenerational Report has projected that Australia will have one of the longest life expectancies in the world. In 2054-55, there are projected to be around 40,000 people aged over 100. By 2054-55 there are projected to be 7.0 million Australians aged 65 to 84, compared with around 3.1 million in 2015. This would represent just under 18 per cent of the total population, compared with 13 per cent in 2014-15. ‘There are certainly lots of investors in this space who have good stories,” Mr Stanley-Turner says. Brisbane based, Stronghold Investment Services has certainly seen this trend reflected in its investors and the success of its unlisted property funds to date. Director Steve de Nys said in less than five years the company had built a portfolio of eight property funds, to manage $180 million in assets. Mr Stanley-Turner’s other big tip for property fund investors was to seriously consider the Queensland market. He said South East Queensland commercial property offered a compelling advantage in terms of returns relative to Sydney and Melbourne, where demand for commercial property was driving prices higher and returns lower.